Beneficial Solution for OST to EML Conversion; use it if you want to convert the emails of Exchange- offline OST file into EML file. The OST to EML Software has user friendly GUI process that can be effortlessly handled to export OST to EML. It is professional software that also repair corrupted, orphaned outlook OST file after than convert OST to EML file. Keeping the original folder hierarchy intact and without making any data lose, the software has ability to convert selective folders or complete items of OST as EML. Export even larger size of outlook OST file into EML format. Allows convert the selected folders or items from offline OST database with attachments items. Scans OST file, Repair corrupted OST File and Save into EML format. Converted EML files can open in outlook express, thunderbird, windows OR windows live mail etc. Convert password protected OST files with emails or attachments into EML format. Premeditated with state-of-the-art technology, the OST to EML Conversion Software is really a helpful program that supports both corrupted or healthy Outlook OST file to convert their all items into EML file. OST to EML Software perfectly recover selective items from OST files with attachments and save them into EML format that very easily open in multiple mail client’s applications such as- outlook express, windows, windows live mail or thunderbird without difficultly. OST to EML Converter Software has the capability to extract every item from damaged or healthy OST file and convert all OST items into EML included- emails, contacts, calendars, deleted folders items, journals, task, notes and appointments. With advanced feature of the OST to EML Software you are permitted to select the folders or emails by check or un-check process to convert only selected items of OST files to EML files with maintains data intact and attachments header attributes. No matter how larger your OST file, the OST to EML Converter Software has power to convert any size of OST files to EML files. Software has already tested upon 1TB OST file in laboratory and provided 100% satisfied result to its users. 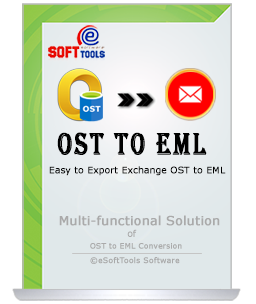 OST to EML Conversion Software can convert emails from both corrupted and healthy OST files into EML file. It means you can browse any OST file and produce easy and fast conversion process along with contacts, calendars, task, notes and appointment. Encrypted and password protected OST file can also be exported into EML file through using this remarkable OST to EML software that capable to recover emails from orphaned, corrupted or protected OST file to convert OST to EML. No changes will be done while OST to EML Conversion, the OST to EML Converter software keeps folders, sub-folders hierarchy and emails formatting (emails header, email properties and emails attachments) during export OST to EML process. Have Demo Version of OST to EML Converter Tool - A demo version provided with the intention to solve user’s problem related to software working process, all users are capable to use the demo version and examine software conversion fast process. Demo allows save 15 emails per outlook folders into EML format at free of cost. Can I Covert selective folders from damaged OST files to EML file? Yes, the OST to EML Converter Software capable to recover and convert selective folders from corrupted OST files to EML file. Can I open converted EML file into thunderbird or windows live mail after conversion? Yes, the converted EML files you can open in all those mail clients that creates .eml files such as- thunderbird, outlook express, windows and windows live mail. Will software make any changes in database while conversion OST to EML? No, the OST to EML Software will not make any types of changes during conversion time. 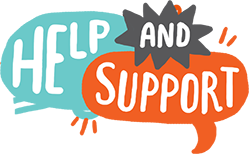 My OST file having password but need to convert data into EML will software support? Yes, the OST to EML Converter Software supports password protected OST File to convert its data into EML file. Last month when I needed to convert my OST file to EML file I used your software that solved my problem and never lose a single bit of data while conversion. I was happy after conversion of OST to EML file that is why I am suggesting this tool to every users who want to Export OST to EML format.………..
Really, this OST to EML Conversion Software is professional that helped me when I required to convert OST emails to EML thunderbird file. Software had no issues related to the size of OST file because my OST file was too heavy in size but very fluently it performed for conversion………. thanks..